Built in 1947, it is now (2010) on its 18th owner and has undergone quite a facelift. A lot of money has been put into painting, new tables, and the restroom looks like a something out of palace compared to what is was like for years. Located at 13025 Village Blvd. 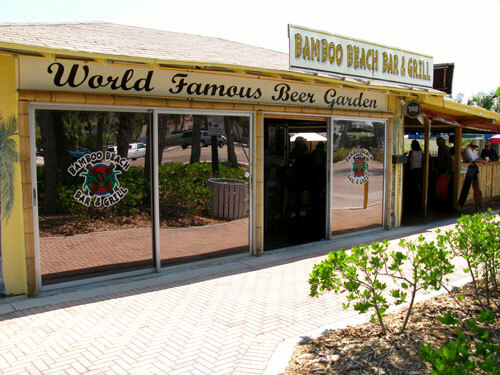 Madeira Beach, FL 33708, The Bamboo Beach Bar is on the east side of Gulf Blvd across from the beach. 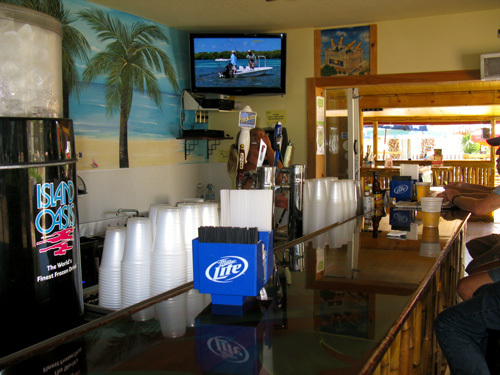 Although it is still a casual place, it is NOT the barefoot, no shirt, Florida beach bar of the 50's, 60's, and 70's. Gone are the license plates nailed to the wall, yet the open air deck still maintains the Old Florida flavor. Live music has replaced the karaoke of the early Millennium, but customers from years gone by still return, although some of the more crusty locals are still peeved about things like air conditioning and a dress code. For years, the target age group was 55-70, but the past few years has seen an influx or younger (35-50) patrons walking in from shopping at John's Pass Village and looking for a place to relax. 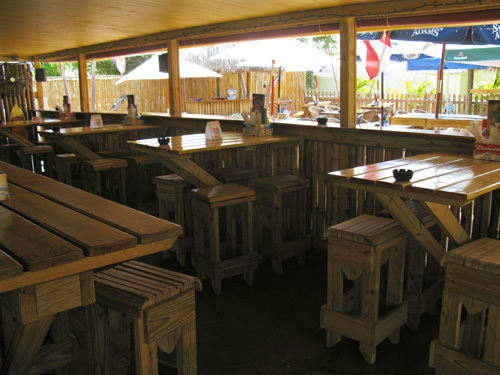 The Bamboo Beach Bar is at the far northern end of the Village at John's Pass. The bar area is relatively small, so if you want to sit there, get here early. A more gentle decor has replaced the old license plates, however, the draft beer is still cold and reasonably priced. The covered seating has been refinished and looks great. Most locals like it outside on the patio where they can sit in a breeze off the Gulf and smell the clean salt air. The Bamboo Beer Garden is STILL a great place to hangout. 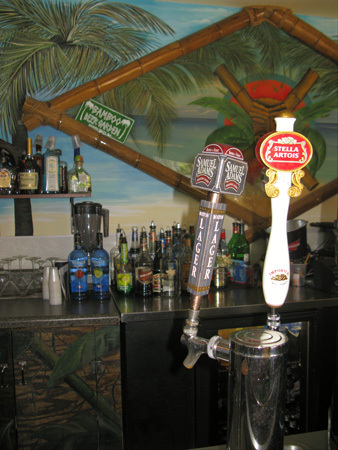 Make sure you stop by for a cold one on your Florida beach vacation. 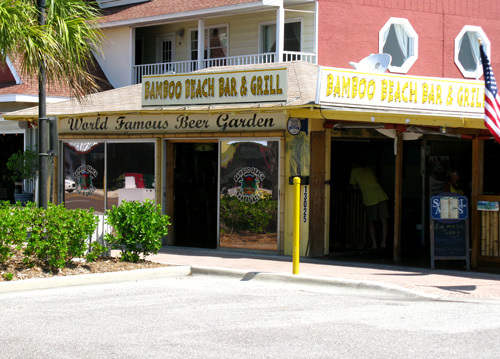 Could you become a travel writer and review cool places like the Bamboo Beer Garden?